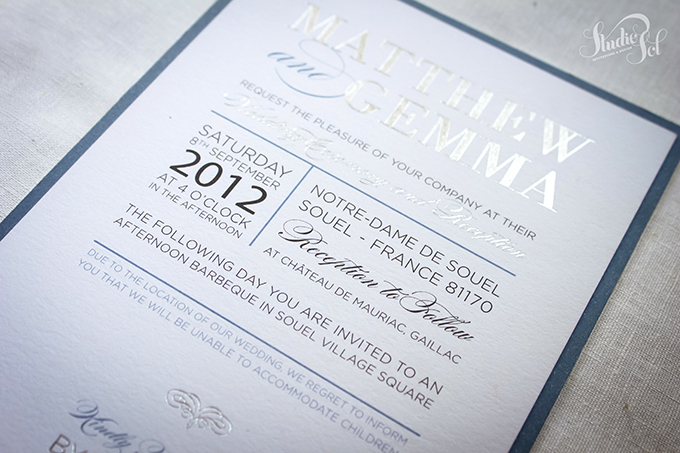 Gemma & Matt got married recently in Souel in France at the gorgeous French Chateau de Mauriac . 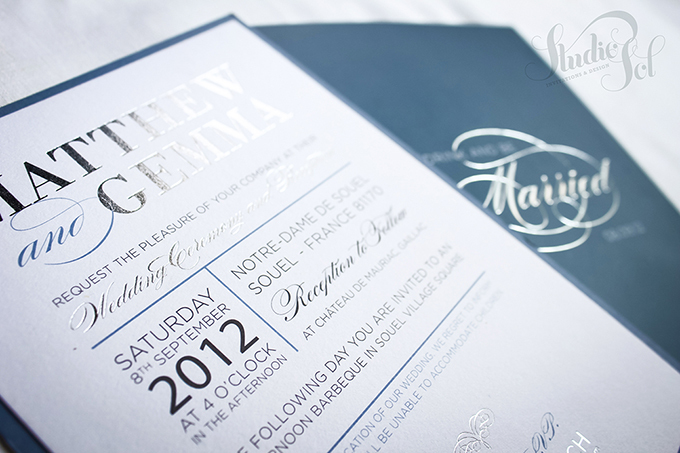 Gemma wanted a simple yet elegant wedding invite, that wouldn't compete with her venu, and also something that reflected her style & personality. 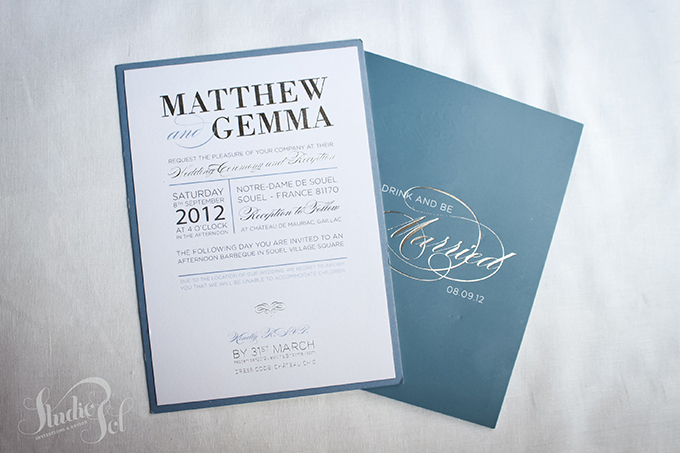 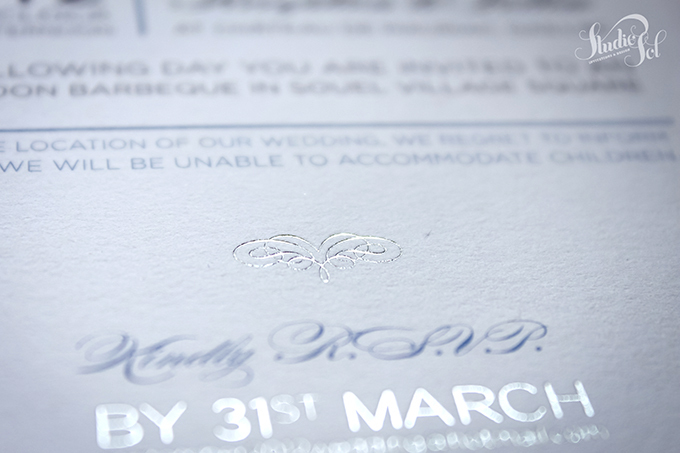 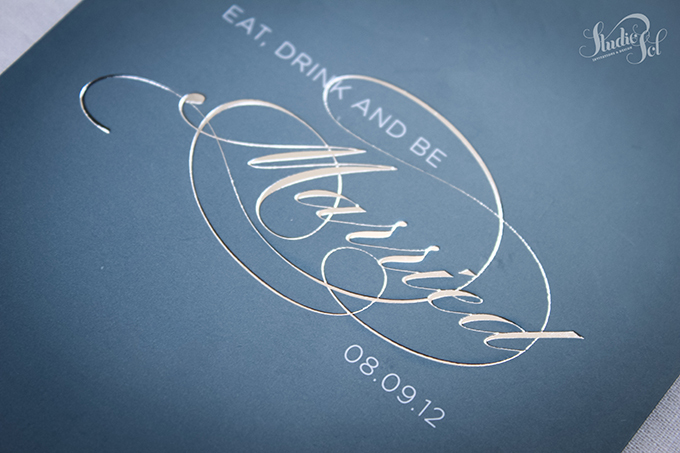 The solution was a Vera Wang inspired wedding invite, printed on a thick cotton card, and double mounted on a backing card. 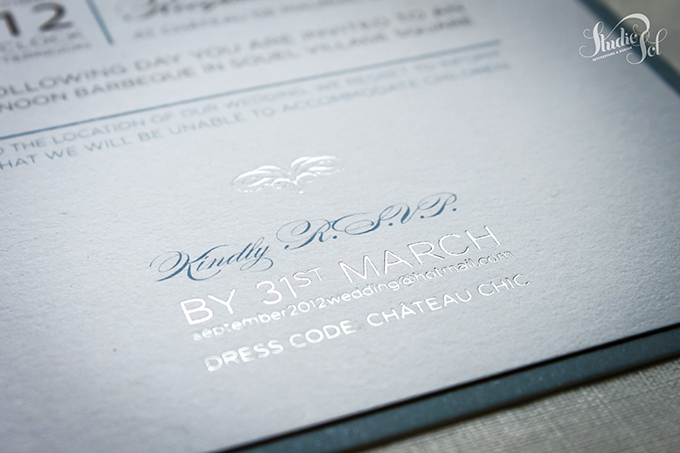 We used the "mushroom blue" colour from her bridesmaid dresses and finished it off with a gorgeous silver foil.